Iceland, land of Fire and Ice, one of the rare parts of the world where you can bathe in hot springs, walk in volcanic ash and dress up like Bjork. That’s what the tourist managers would have you believe, but does it live up to the hype? Till recently Iceland tended to be out of most people’s reach (by this I mean budget) but due to their economic meltdown and huge drive for tourism it is actually quite reasonable now. With this in mind I decide to experience it for myself- and what time of year could be more exciting or busy than New Year’s Eve? Thermal underwear safely packed and long johns bought, I boarded my Iceland Air flight. I was booked for three nights and four days and wanted to make sure I maximized my time in this flying visit. Iceland is surprisingly small, with a population of 320,000, most of them populating the capital city of Reykjavik. The land mass is 103,000 km2, but much of the terrain is uninhabitable due to glaciers and sand fields. The climate is tempestuous, with volcanoes, geysers and changeable temperatures making it a wonderfully wild place to visit- and fairly volatile to inhabit. 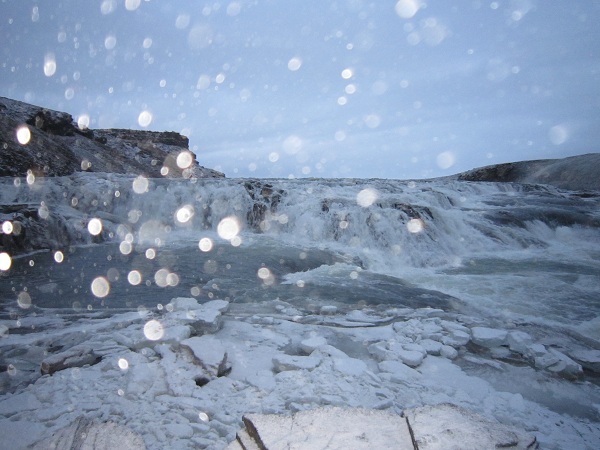 Iceland is a place I’ve always dreamed of going to, partly due to the fame it got in the early 90’s (I blame Bjork) and also due to the fact that all images of it portray it as an ethereal looking Narnia style land… with booze. I was pretty scared of visiting a place where the dress code consisted of thermal underwear, so decided the best time to go would be for New Year’s Eve, as I’d be guaranteed some pretty dress action. Research indicated that the Icelandic like to celebrate New Year’s Eve in serious style, so it seemed like the ideal time to go. 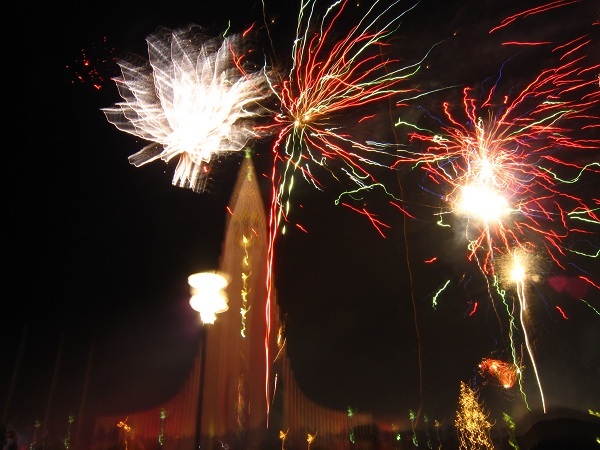 Here’s my guide to a whistlestop Reykjavik New Year’s Eve adventure. With only three full days in Iceland I wanted to maximize my time there. I don’t believe in preplanning too much but wanted an idea of what to do before I went so I wouldn’t miss out on anything. A quick whizz around the web and I had a list of potential activities. We arrived late in the evening and got a cab to our hotel. I’d found it on a hotel site and had picked the Hotel Metropolitan based on reviews saying it was in the centre of town. I quickly realized that this worry wasn’t actually necessary- Reykjavik is so small that EVERYWHERE is the centre of town, so when looking at accommodation only consider amenities as the proximity can’t help but be good. Everything is locally accessible by walking and we traversed the main square marvelling at the Christmas displays in the windows, and the buildings- made of coloured wood and patchy brickwork to give a higgledy piggledy effect. The main street is called Laugavegur and is a long winding road that passes through cafes, bars and odd souvenir shops selling Icelandic woolen jumpers and bits or volcanic rock. Prices were cheap for eating out, with portion sizes really large. The first port of call when we awoke was a traditional bakery in Iceland. There were many of these- slightly worn around the edges but full of teasing smells and tasty looking pastries. Iceland uses the Icelandic Krona as a monetary system and the exchange rate was quite easy to work with. My pastry was huge and worked out at around £1.50, with coffee refills free. This wasn’t an out of the way place either- it was opposite the Town hall, a strangely small building where the Icelandic leaders gather to make policy. The first day was spent meandering around town, waiting for the Northern Lights tour we’d booked prior to arriving. Sadly, due to bad weather it was cancelled, though we were told that we’d get a free repeat tour the following night. Determined to be productive we booked in for an early morning Golden Circle tour. Waking up at 5am was surreal as the sky was black and shot through with orange streaks and it felt like wading through a dream. 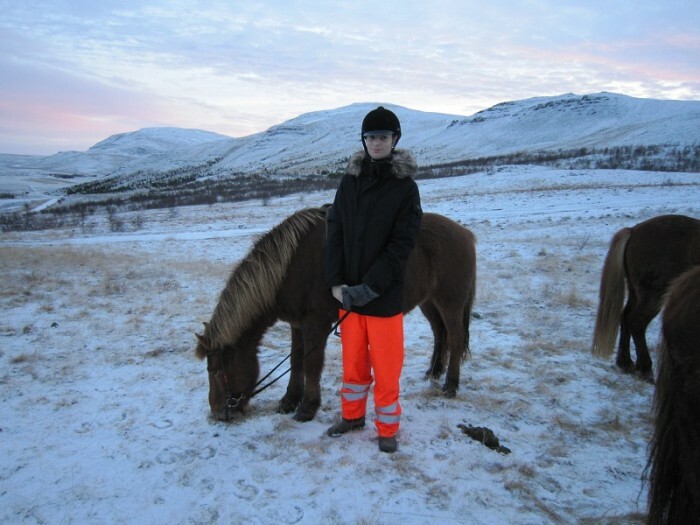 A large jeep rolled up and took us up to the mountains where step one of our tour started- Riding Icelandic ponies through rocky hills and around snow-capped bridges. The ponies were beautiful shaggy creatures that basked in our attention and let us pat and play them. It was amazing to see the sunrise in the mountains, fractalling the sky and creating beautiful colours everywhere. 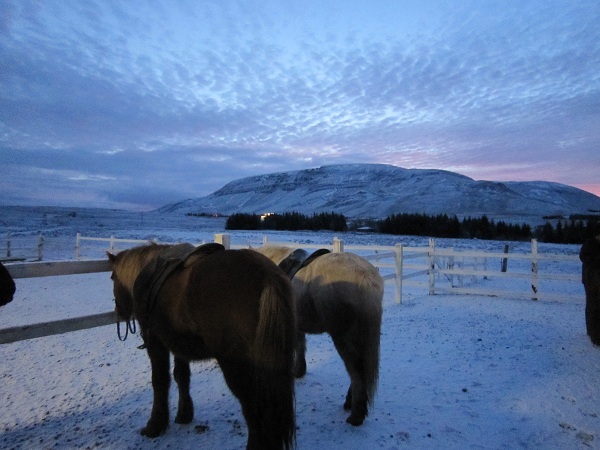 We cantered through rivers, with water up to our thighs, trotted down icy paths, the ponies incredibly skirting around the trickiest area, surefooted and confident. 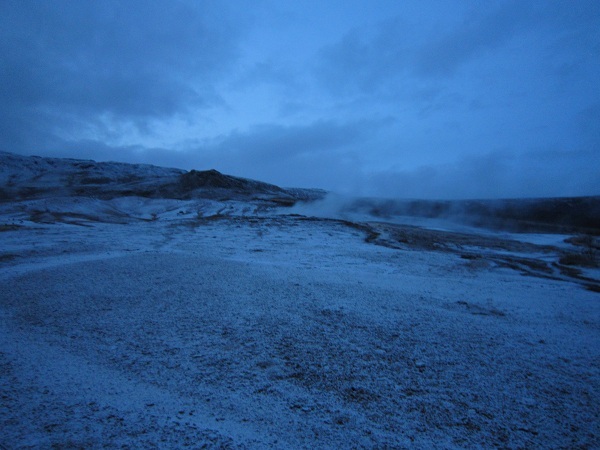 We finished the riding with hot soup and Icelandic sweet bread and headed into the jeep for the rest of the tour. 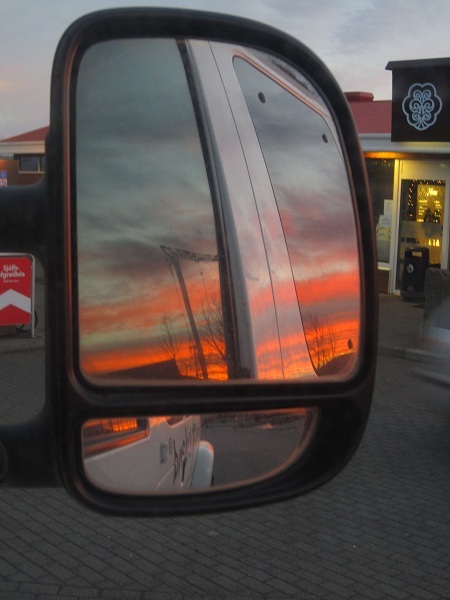 This is one of the most traditional Icelandic tours and you can do it yourself with car rental or sign up to a tour company for the trip. 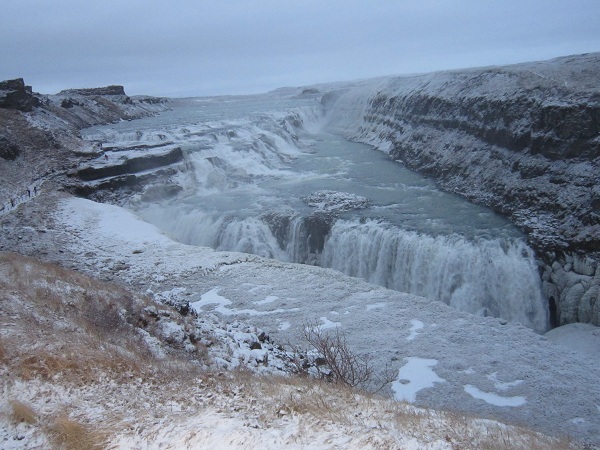 It involves seeing three major landmarks- the Gulfoss waterfall, the place where you can see the Earth’s crust separate and the geysirs which shoot hot water miles into the air. It’s a great experience as you get to see a whole new side to nature, something fierce and wild, and uncontainable, and as a city girl it was awe inspiring. The geysirs were perhaps the most exciting aspect of the tour, as the steam went off at precise times (around6-10 minutes) and seeing jets short up was incredible. 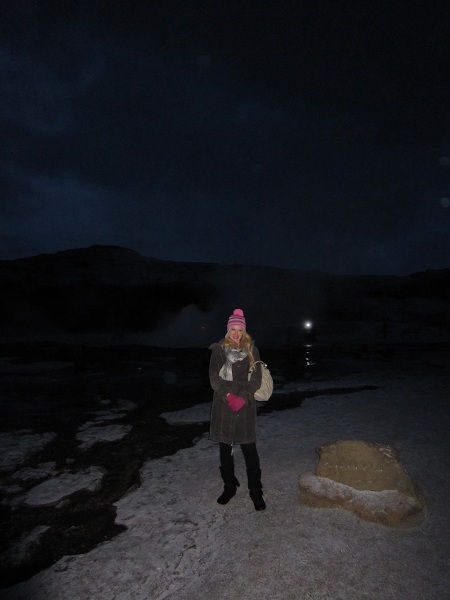 I visited both at night and in the day, and when it was dark the huge wash of the geyser and the rotten egg smell (a common happenace in Iceland due to the level of sulphur in the water) was impressive. The Gulfoss waterfall was enormous and made you feel really small, and the Mid Atlantic Ridge was hard to comprehend. You could look down at a great slab of rock, cracked in half with a passageway leading through- hard to reconcile this with the fact that it was the Earth’s actual core ( OK, Teutonic plate) pulling itself apart. 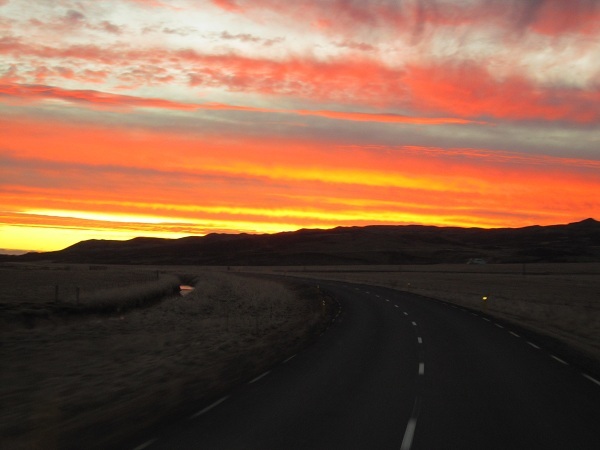 It’s no wonder that Golden Circle Tours are top of most people’s Iceland itinerary! The second day didn’t involve a trip to the Northern Lights as once more bad weather meant the drive was cancelled. The lights are never a guarantee- you essentially sit in a car and drive to places where they may be, and a series of people linked up call in tips. We were offered another free trip, but our time was running short, with New Year a day away. Another common tourist activity is whale watching in Iceland, but due to stormy seas we failed to see any whales- the tip of a dolphins fin being the most exciting. The company offered a free return experience so the hopeful can return and try to see whales. I was warned that the Icelandic are heavy drinkers so was puzzled when it wad 11pm and none of the bars were open. Strange, I though t they liked to party. What I didn’t realize is that they party LATE, perhaps partly due to the lack of li8ght, and that bars may not open till 1am- and shut till 10am. I’ve always had a penchant for fast cars and speed, so signed up for snowmobiling straightaway. I imagined skimming lightly over acres of snow, the light gleaming off my hair and plenty of time to take snaps. What I hadn’t reckoned on was the sub arctic temperatures and the fact that my three (three) pairs of gloves proved insufficient. We set off in a group format, with two giant jeeps taking us high into the mountains. Once at the special cabin we were given snowsuits to put on, mufflers and extra gloves to cover our hands. We made out way into the bottom of the glacier slipping and sliding and off we went. It was so pure up there it was like you were hit by freshness and cleanliness, a hard slap of purity across the face, and the solid white background made you feel very small and alone. It was beautiful, the light glinting off different crevices, frost twinkling under the sun, but it was cold, so, so cold. We got to the halfway checkpoint and it was my turn to ride the snowmobile and I couldn’t. My hands had frozen into a claw like position (the temperature was around -15) and I physically couldn’t unbend them. I still loved the experience though, but it was more of a ride than a drive for me. 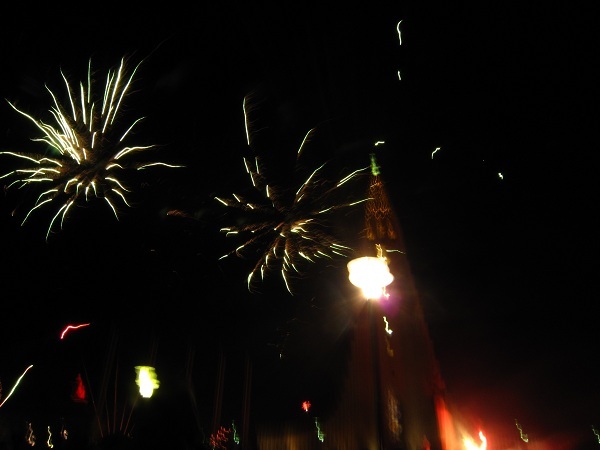 Icelandic folk take New Year’s Eve rather seriously and massive displays of fireworks are one of their main traditions. Fireworks are sold for charity and money gathered from the proceeds goes to supporting their mountain rescue teams. You can pick up large packs of rockets and catherine wheels from various drop off points in the city of Reykjavik, often sold out of car boots, with cash only prices. We set off into Reykjavik main (a 2 minute walk from the hotel) at around 10pm, and joined the crowds of people walking up the main street, heading uphill towards the imposing church on the hill, also known as the tower of Hallgrimskirkja. The streets were full of people paying no heed to the cold, dressed in everything from high heels and bare legs to thick fur coats. Buggies filled with babies and fireworks were pushed up the hill and random pops and bangs whizzed from the crowd. As someone who was brought up with British health and safety laws it was a little terrifying to be in the midst so many live fireworks being let off in crowded spaces, but still exhilarating. Official fireworks happened around the church, and the street was full of celebrating people letting off rockets and waving sparklers. The bangs went on for a good two hours and post midnight still continued. We set off down the hill, following the trail of locals, hoping to find a good pub or bar to start our evening in. Bizarrely, everything was shut, as traditionally most Icelandic folk now went home to watch a special New Year’s Eve TV programme, roughly equivalent to the Queen’s Speech, but more comedic. The bars were shut. The pubs were shut. The clubs were shut. It was midnight! We’d heard this was the case from a few locals and tour guides, but hadn’t believed this would actually happen! Surreally we found one place serving- called the English Pub! Decorated with British flags and motifs, it was serving real ale and vodka shots, with cheesy pop tunes playing to a raucous and confused international crowd. We hung out there till about 1.30 when more places opened up for the night, and chose one club at random. I’d tell you the name but it’s a bit of a blur… Pop music was played, and people were still dancing when we left at 6. The Blue Lagoon is one of Iceland’ most iconic venues in terms of touristic imagery, the violet blue pools full of soft steam and inviting waters, and the lure of volcanic ash and geothermal waters brings the Blue Lagoon many visitors. We had booked the Airport trip, which caters to people wanting to maximize their last day at Iceland. A bus picks you and your suitcase up at a certain time, takes you to the Blue Lagoon, drops you there for a certain amount of time (admission included) and then drives you to the airport so you can get your flight. Our coach was booked for 7am, and we arrived at the Blue Lagoon at 8, when the sun was still rising and the cool blue depths looked ethereal and magical. We were handed an electronic key fob to enter the building, and dropped out clothes off in the lockers. Standing tremulously inside the doors we stared at the lagoon, inviting, but oh so freezing and took the long dash towards the water, wincing against the bite of the wind. The water was rich and thick, with sea salt gloopily squidging beneath our toes. The main lagoon was split into multiple areas, and you could move through little caves, cosy alcoves, and areas where you could apply the rich mud to your face for an impromptu face mask. 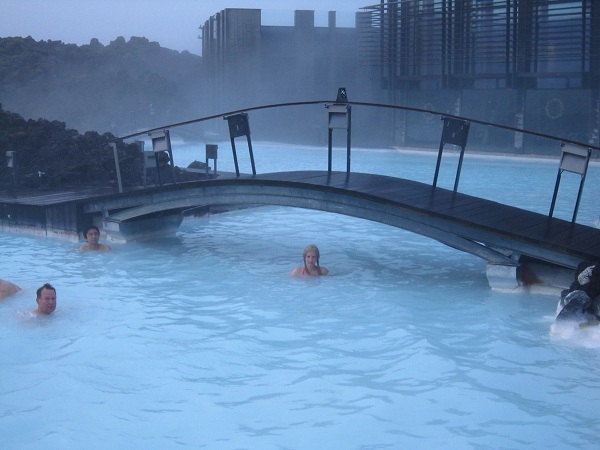 The Blue Lagoon also featured treatment rooms for massages and facials using the locally source product and they had private pools for those on a VIP package. The Blue Lagoon was very still to begin with, but as the day went on, coachloads of people arrived, many of them still in their evening finery, clutching bottles of wine and necking alcopops pre dip. It’s a pretty sweet hangover cure, as the warm water soothes your aches away and the feeling of floating gives you a great all over boost. The salty water is meant to be a great detoxifier as well. It was strange being somewhere that was so man made and yet felt so pure and removed from reality. The high mineral content of the water makes it a milky smoky blue and the sensation of floating in its warm depths was beyond description. One of the reasons for going to Iceland is to view nature at its finest and most raw, but that also means you’re subjected to its vagaries. The Northern Lights are NOT a certainty, so make sure to plan other things on your itinerary, as it’s not a cert. Equally with whale watching- enjoy the boat ride, as whales are a plus, not a given. Try not to be to upset- it’s because it’s so unpredictable you’re there after all. It might be a British thing, but I often feel like people are trying to rip me off on holiday. I fear I’m being overcharged, taken for a mug and that people are against me. Icelandic folk are genuinely helpful and their businesses all know each other and work together. When one car broke down on a trip, another company picked up the passengers and took them on their tour, and when you’re waiting for a Northern Lights tour, the companies all ring round and talk to each other before they say yay or nay to the weather. Put the cynicism aside and trust what people say- you’ll have a much better time if you do! Due to the natural sulphur the water in Iceland all has a distinctive eggy smell to it that can be quite off-putting. Be sure to drink bottled water till you acclimatize, and be prepared to shower in it- nose plugs help, if you’re particularly sensitive. If you’re planning on doing some partying whilst in Iceland, make sure you get some sleep in the day, as clubs don’t tend to open till past midnight, and then they go on till dawn.Techno and house are very popular, but the music caters for all crowds. The travel facts: I paid £894.35 for a holiday for Two, including flights, accommodation and a free breakfast. Prices tend to be cheaper when it’s not a peak time of year. Tours can be purchased whilst you’re there, or you can pre-book in advance (if you have a short time frame). I actually pre booked my Northern Lights Iceland tour before I left, as the description sounded so amazing- shame the weather messed up! My Flight Details: Left Heathrow at 21.00 on the 28th Dec 2010, arrive d 23.55 28th Dec. 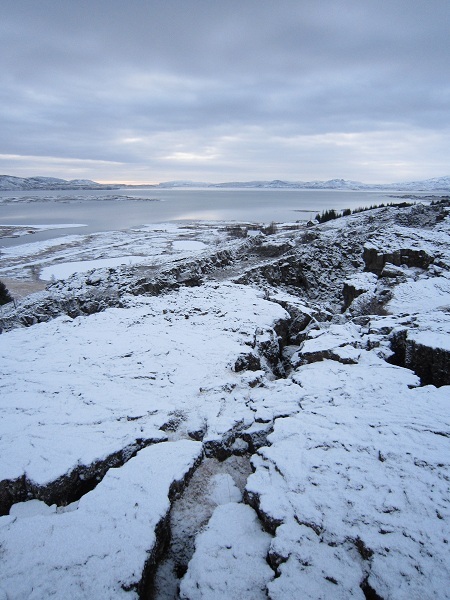 Departed Reykjavik at 16.30 on the 1st Jan 2011 and arrived London, Heathrow at 19.30 on the 1st Jan 2011. Accommodation: I stayed at the Hotel Metropolitan, a ‘3 star’. It was a basic room, with a TV and bathroom, no shower or extra amenities. Room was bare- wood floors, white walls- but a little dusty. The free breakfast included coffee, tea, cereal, cheese, bread and meat. The room came as part of my flight package. I want to go to Iceland now. The pictures look stunning. I really enjoyed this review of your holiday! Beautiful images! Can I just ask how far in advance you booked to get those prices? And how much do everyday things cost-for reference? I booked about 2 weeks in advance, as I wasn’t that organized, it might be cheaper if you book further ahead. A large pizza in a restaurant was around £10, a pastry was about 80p- and you could east it in a bakery and a vodka coke was around £4. 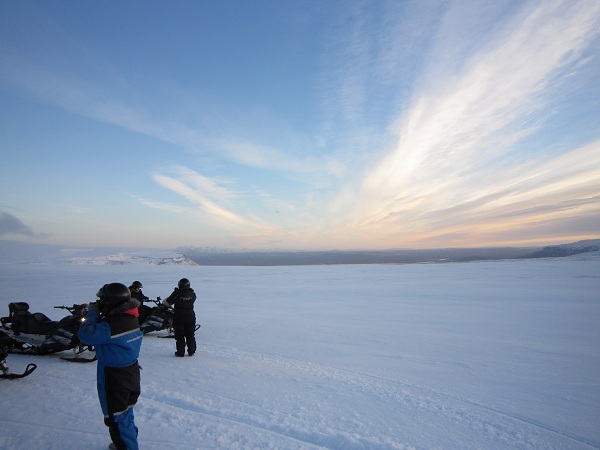 Prices for the activities were set, but it was about £20 for Norther Lights tour, £25 for whale watching and about £120 for snowmobiling. Zara- thank you for a great blog. We are planning our trip now for this New Year’s and you have answered all of our questions! Love your style of writing! We are going Dec 11, 2012 for 3 nights. 2 of us staying in apartment in Reykjavic. Is there a particular tour company you recommend? We are planning on doing the blue lagoon via transport to airport our last day. 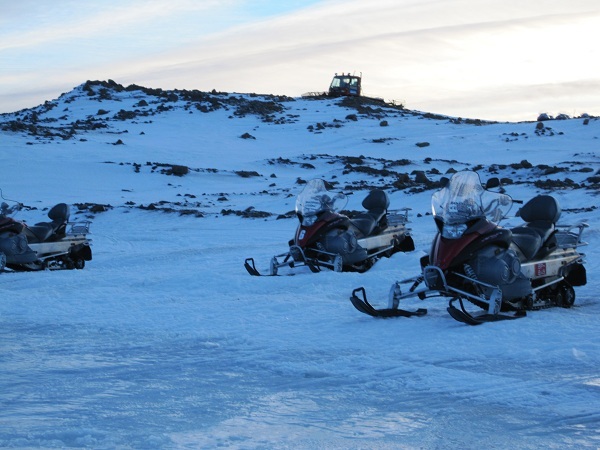 One full day we are looking into doing the golden circle tour plus snowmobile. Then northern lights tour one of the nights. The rest of our time will be enjoying Reykjavic. What do you recommend we book in advance and what we should just book on arrival. I am tempted to wait for weather updates, etc. thanks for the great blog! I recommend you wait and book things when you get there- prices will be cheaper and there is so much on offer you won’t miss out. Also, it’s good to have an idea of the weather as well. Hope you have fun! Thanks so much for your blog..we are going on the 28 December and coming back on the 2nd. We have been panicking about booking trips so that’s a relief! Did you happen to see anything on the dog sledding at all? 1- How far from the airport to the downtown? 2- Is the food good in general or only high end restaurants serve good food? I have stumbled across your post whilst googling “3 day Iceland itinerary” and its a great post! 1. how long would you suggest spending at the Blue Lagoon? During the winter months it doesnt open until 10am. I was thinking doing this on the way back to the airport but as our fligt is at 3.30pm we would need to the leave the lagoon no later than 1pm. Would 3 hours be enough? 2. which company did you book the golden circle tour with? 3. which company did you book the snow mobiling with? I think you’d be OK with 3 hours. It’s lovely and ethereal and magical, and a great way to unwind pre airport. Great info! Im headed there next week and am trying to figure out what to wear. I contemplated the Heatech leggings but wasnt sure theyd be as good as UnderArmour or North Face. Glad to hear they worked for you. What did you wear over them? Im planning Heatech leggings, Under Armor leggings, and ski/snow pants. But I dunno…Im lost. Thanks! Hello, I just stumbled across this post and it’s really helpful! 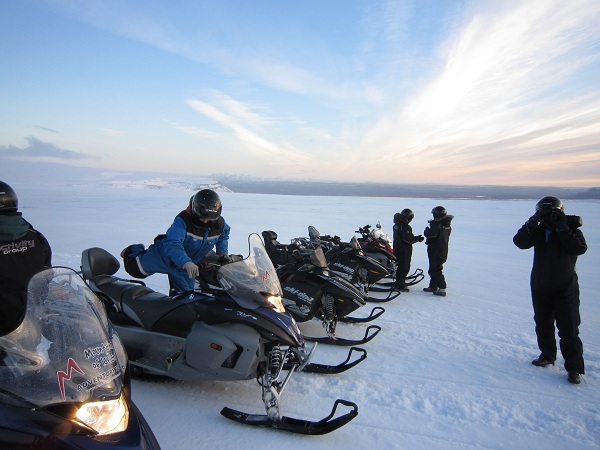 I’ve read the comments and can’t find an answer to the question, who did you book the snowmobile and the golden circle tour with?